Set up a Dejavoo Z9 payment terminal for use with Worldpay (formerly Vantiv) in Lightspeed Restaurant. Before proceeding, you must set up an account for your business with Worldpay. When opening your account, make sure to request a Dejavoo Z9 terminal. 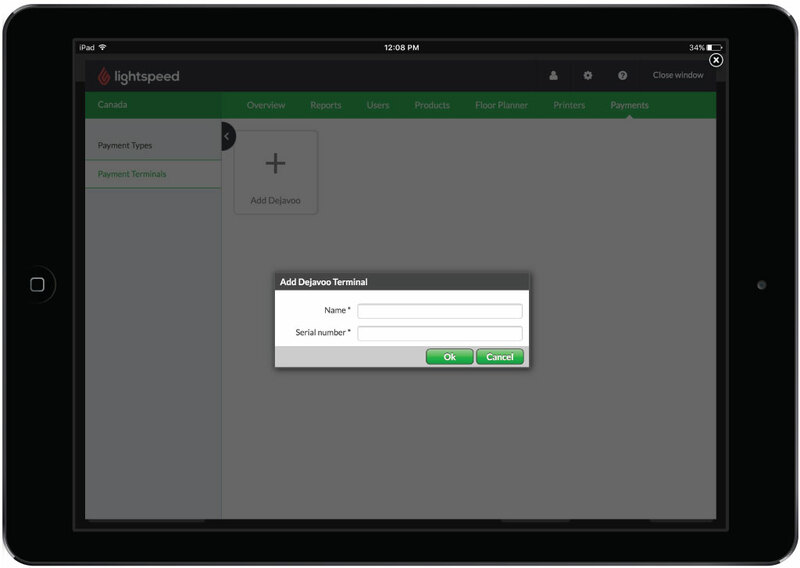 The Dejavoo Z9 payment terminal is currently only supported on the iPad with Lightspeed Restaurant. Power on the terminal by pressing the Up arrow key on the keypad. When the terminal has finished initializing, press the green OK button on the keypad to access the terminal's Core Menu. When prompted, enter the terminal's password using the keypad and press OK. The terminal’s factory default password is 1 2 3 4. Tap Utility. You may be prompted to enter the password again to access the Utility menu. Tap Communications > Local Parms. > Scan Network. The terminal scans for wireless access points and lists them. When your access point displays, tap it. Tap Configure > Set Password. Enter your WLAN key using the keypad. Press OK. The terminal displays a confirmation once it's connected to the WiFi network. Log on to the Restaurant Manager as an admin user. Tap Payments > Payment Types. Assign a name for your new payment. Select Dejavoo from the Type drop down menu. 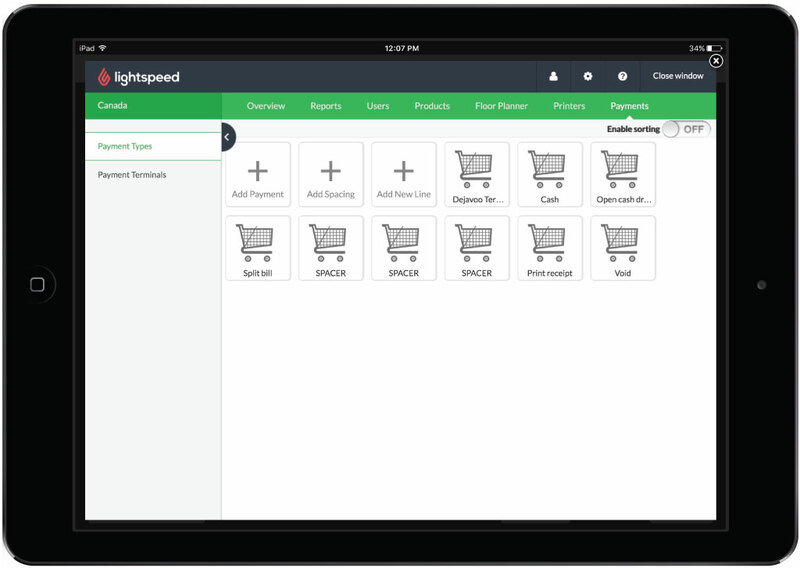 See Creating payment methods for more information on creating dedicated payment methods. Tap Payments > Payment Terminals. Assign a name for the new Dejavoo payment terminal. Enter the serial number of the terminal. The serial number for your Dejavoo terminal can be found on the back of the unit. For example, S/N: XXXXXXXXXXXX. You are now ready to process payments with your Worldpay terminal. See Taking order payments and tips.